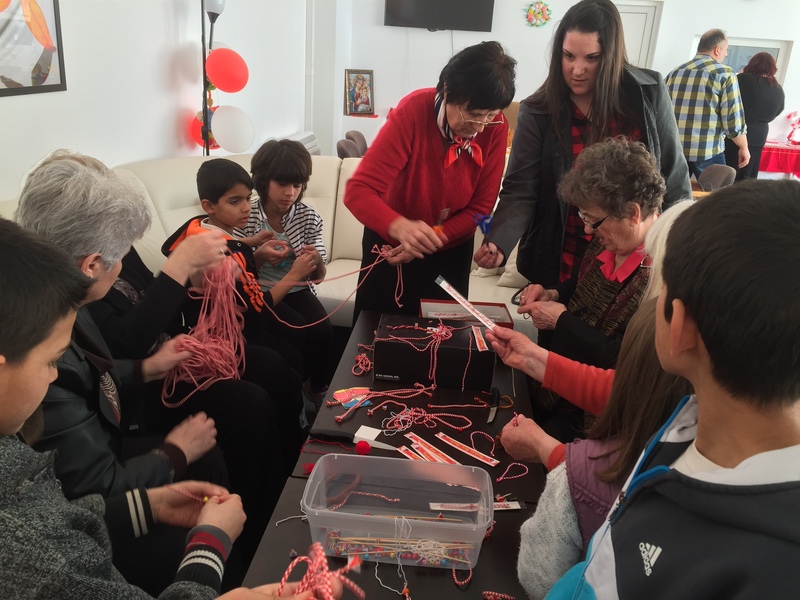 On Tuesday Tabitha Bulgaria Foundation organized a workshop for making martenitsas in Roman. The event was part of the project “Bridge between generations”, financed by Bulgarian American Society (BAS). It took place in the MAX Day Care Centre for Old People where the elderly taught the children to make beautiful red and white tokens for March 1st. 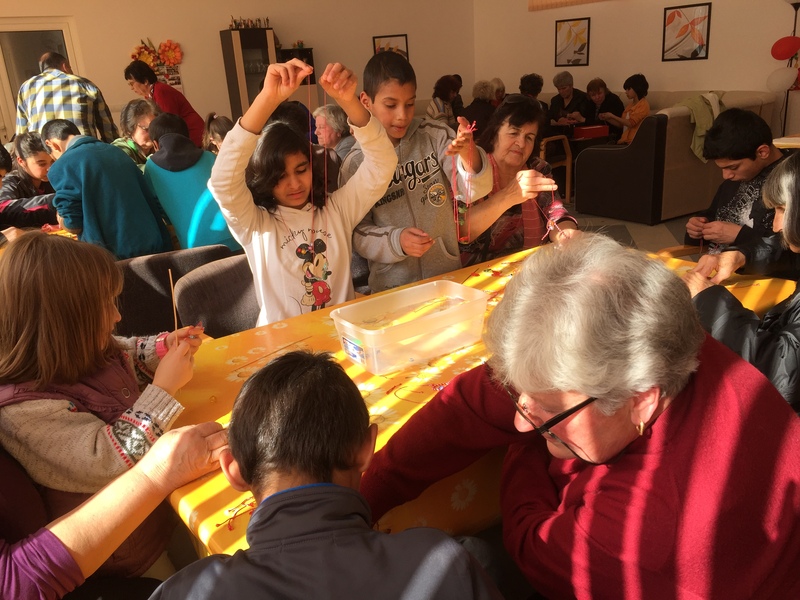 The project helps the social inclusion of two marginal groups: retired people and underprivileged children from the Social institution for children in Roman. 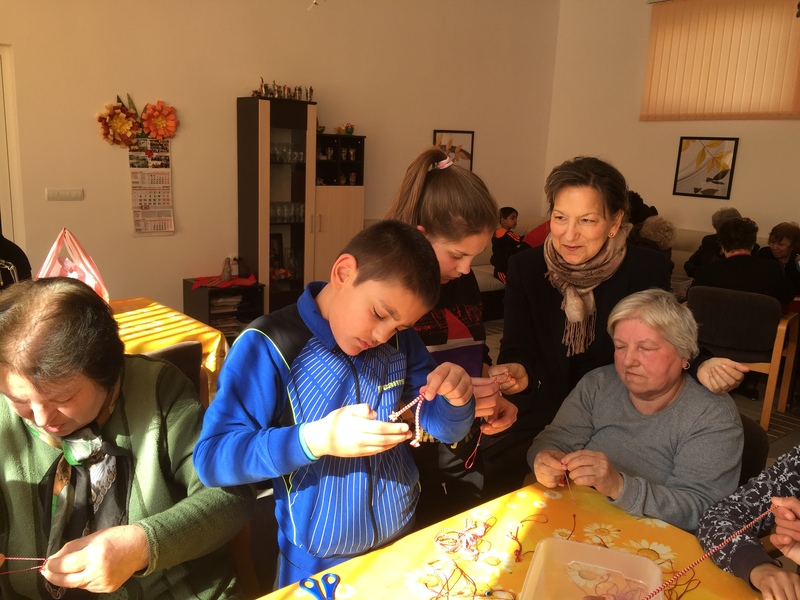 They get together and celebrate national and social holidays, plant flowers together, the children are taught to cook and to observe Bulgarian traditions. The elderly broaden the minds of the children by sharing their life experience with them and teaching them social skills. The children liven up the boring daily routine of the old people. The workshop for martenitsas finished with singing songs for Baba Marta and delicious refreshments. Most of all the children and the elderly enjoyed each other’s company in the Eve of March 1st! 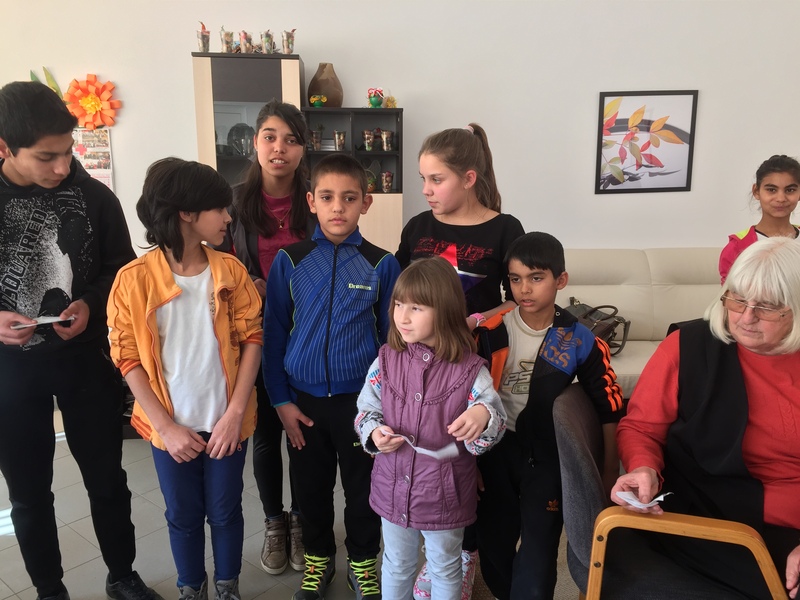 On the first of March the children gave martenitsas to the Mayor and the people of Roman. The kids and the babas enjoy working together. The children perform. The Mayor received martenitsa!